There’s no way around it, “Love is the answer”. That sure sounds good to me. Speaking of love, what better time to talk about it than during “Love month”. I say month, because one day is simply not enough to celebrate love, as the topic is so important for our spiritual existence. Even better, how great would it be if we considered including love throughout our day, every day? That would certainly be what I call “living life in the light”, as anytime we put a little more love in our heart, it raises our vibration, and expands our light. Just think about one of the happiest times in your life where love was involved. Your love energy at that moment could probably light up the room. That’s the kind of light we’re talking about- the light of love. Yes we need more of that! We discussed the importance of raising our vibration in last month’s column. Well feeling, giving and receiving love will raise it for sure. When we share our love, it’s like unzipping our heart and letting love energy pour out. As a result, our vibration gets higher and higher. The more consistently we share love, the more our vibration tends to maintain at that higher frequency. That’s what helps us to stay in Higher living mode, and live life in the light continually. Those around you will benefit from that love energy emanating from you as well. And, believe it or not, it helps lift the energy on our planet too. Love is that powerful. But certain people have told me that they indulge in all types of loving activities, yet something is still missing. That they can’t seem to feel love at the level they desire. The thing is, it’s not what they’ve been adding to their lives that’s been the issue, it’s what has yet to be removed. Meaning, for years they’ve been carrying around negative energy in the form of resentment, guilt, anger, jealousy, shame, unworthiness, etc., towards themselves and others. Does this resonate with you? However the good news is, once this negative energy that no longer serves us is lifted and cleared out, that emptied space gets filled with that which is our true nature- Love. What this means is that we just have to clear away anything that’s blocking our natural flow of love. It’s similar to if you saw rocks blocking the water from flowing down the stream and moved them aside. It would allow the natural movement of the water to continue. So let’s do a little clearing to perhaps get some love flowing. It’s somewhat in prayer form some would say. So if you feel uncomfortable, just skip to the end of it. (Enjoy listening to the rest of the above quote in this song link: “Put a Little Love in Your Heart”). 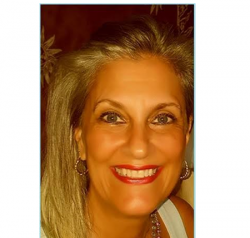 Donnarose Melvin is an Ancestral Energy Clearing/Healing Intuitive whose pleasure it is to serve clients worldwide. Her knowledge from her advanced practitioner trainings in Ancestral Energy Clearing, and her BA degree in Psychology, along with her natural born intuitive gifts, have helped many achieve increased peace and happiness. Please send any inquiries or comments to: Donnarose1010@gmail.com ~If you’d like an ancestral energy clearing/healing, please contact Donnarose at the email address above.